Every Micro Craft software purchase is backed by 30 days of free support, whether it's a new program or update of an existing program. After this complimentary period of free support has expired (30 days after your first call to our staff), you have two options: you can pay per call or you may elect to purchase an annual software support contract. 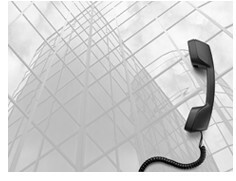 You can pay for technical support on a per call or per email basis, up to 30 minutes. The charge is $60.00. Extended technical support call requiring more time. $60.00 for the first 30 minutes; $95 per hour after the first 30 minutes. You may find that an annual software support contract is the least expensive and best choice on an annual basis.